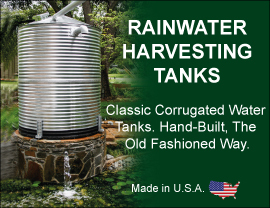 American Tank Company's extensive tank inventory offers WELLMATE composite tanks for residential and commercial applications. They require little or no maintenance because their fiberglass-wound and epoxy-resin-sealed outer shell won’t dent, and there’s no paint to scratch or touch up. Their light weight (less than half that of steel tanks) makes them a quicker and more cost effective install. Plus, they are 100% lead-free, and will not introduce undesirable chemicals or elements into the water. WellMate's state-of-the-art winding equipment, top of the line materials, and an ISO-9001 certified manufacturing facility guarantee that our one-piece composite construction provides you with truly world-class products that are certified to NSF/ANSI std. 61 section 8 and Annex G.A. Call toll free today: 1-877-655-5100 to speak to one of our friendly and knowledgeable Wellmate Pressure Tank Specialists.